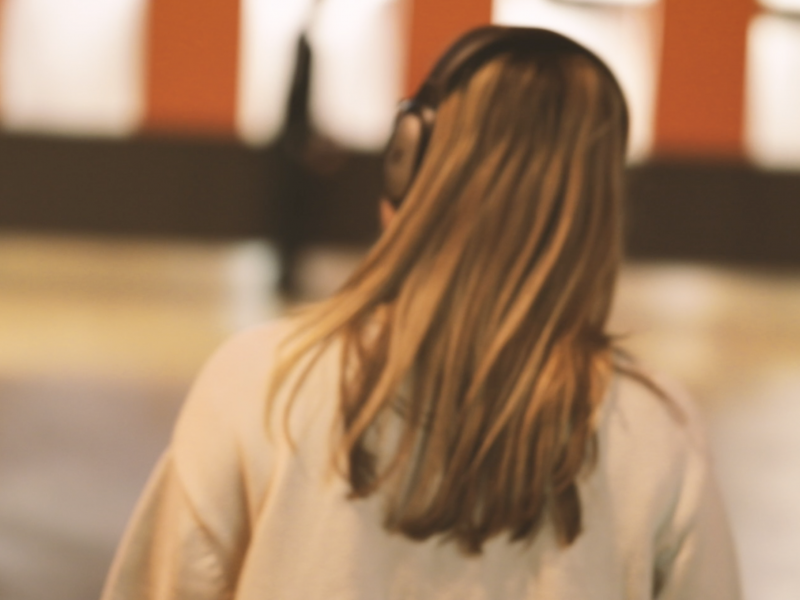 let’s take a walk is an audio journey around the Barbican that starts with a question from a stranger. 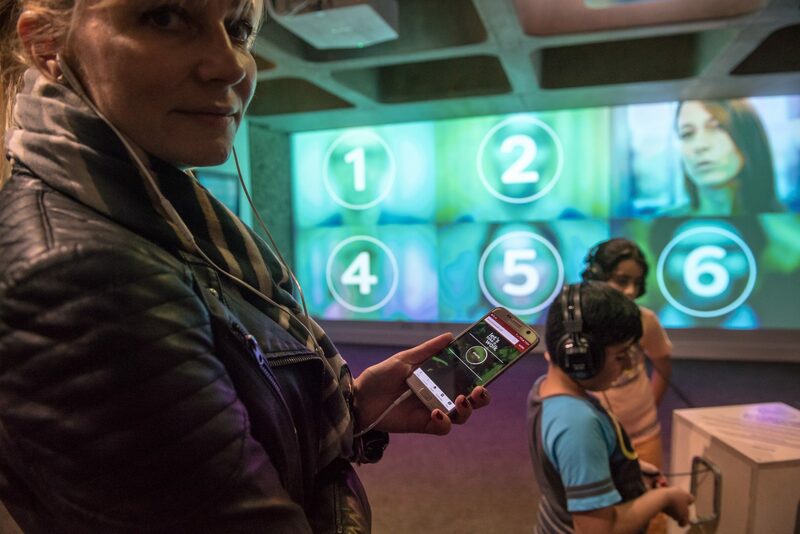 Listen to the questions presented by the six strangers via a video recording in the foyer, then use your phone to choose one, and take a walk around the Barbican with a recording of that person as your guide. In 2016, non zero one made public and targeted call-outs across London, asking: If you had 30 minutes with a stranger, where would you take them? What would you do together? What would you talk about? Respondents took part in a workshop looking at the idea of “stranger-ness” and what it feels like to meet someone for the first time. Does being a stranger allow you to ask different questions? With no history, no context between you and another person, are you free to say something you wouldn’t say to a friend, a colleague? Workshop participants were asked: Is there something, personal to you, that you would like other people to spend some time thinking about? 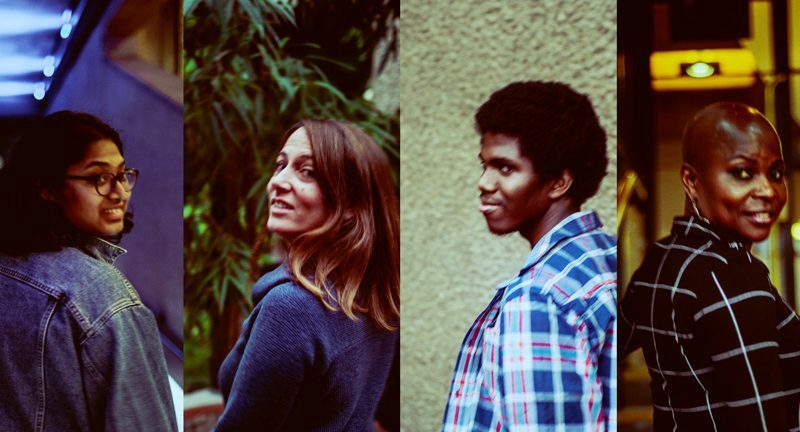 These responses formed the beginning of the process, and over two months, six members of the public worked with non zero one through a series of interviews and writing sessions, to create the journeys that form let’s take a walk. Exploring the power a stranger might have to take us out of our social bubble, let’s take a walk asks people we don’t know to provoke us into thinking about something we might not normally think about or talk about with our friends. There’s a mix of ages and experiences held within the group of strangers; they reveal certain things about themselves – whatever feels relevant to the question – but ultimately it’s about you and your relationship to the question they’re asking. 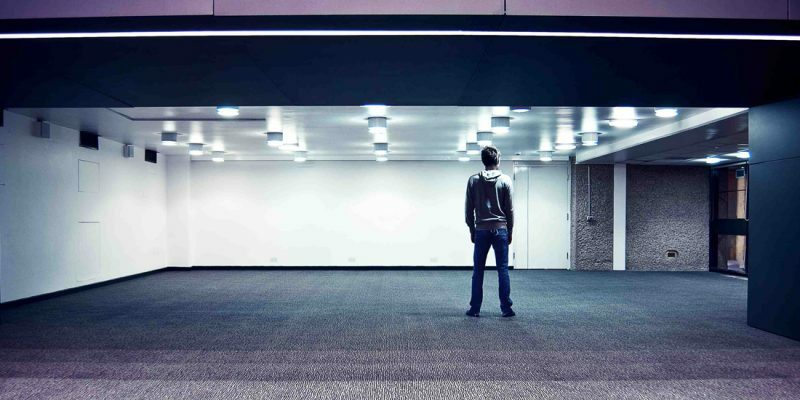 Visitors to the Barbican arrive at a 6-metre-wide projection in the foyer, with a plinth in front. On the projection are six strangers, each with their own question they want to ask you. 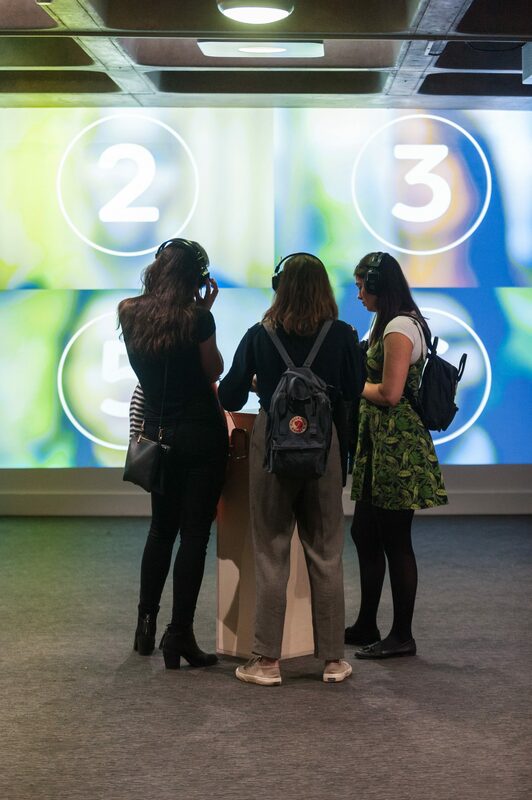 Using the headphones attached to the plinth, participants listen to the six strangers and choose a question that interests them. 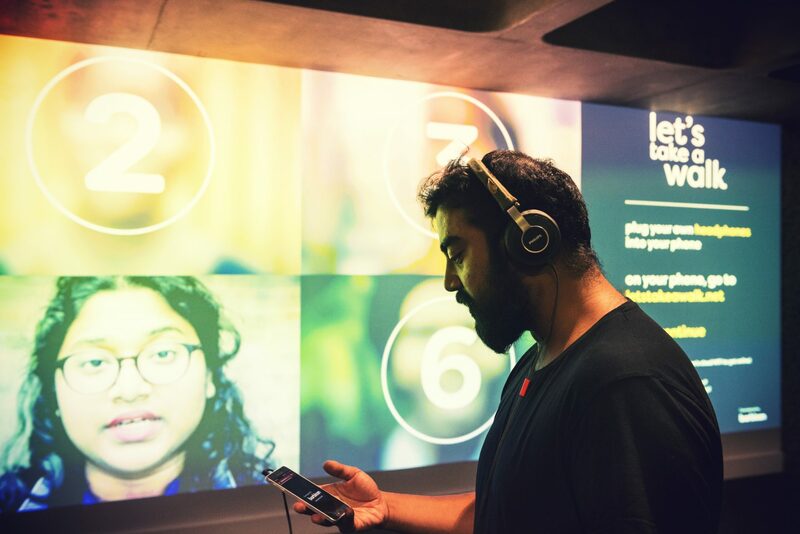 Then, using either their own phone and headphones, or a kit borrowed from the shop, participants join the let’s take a walk WiFi, and use a web app to choose their stranger and begin their journey. The voice in their ear is the voice of the stranger they chose from the screen. Hi. You chose me – I’m really glad you did…we should start – ready? Journey times range from about 25 to 40 minutes, and also depend on where the participant decides to go. 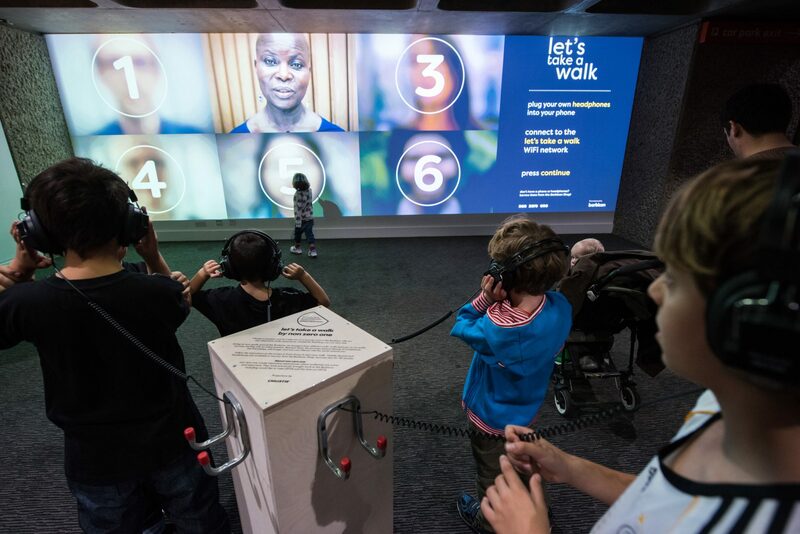 Once the journey is over, participants can return to the screen and choose another stranger straight away, or perhaps come back another day. Carpe Diem. Seize the Day is such a tired phrase, but it is a notion that seems to have seized me in my retirement. You would be right to assume that it’s got everything to do with there being fewer days ahead of me than behind.